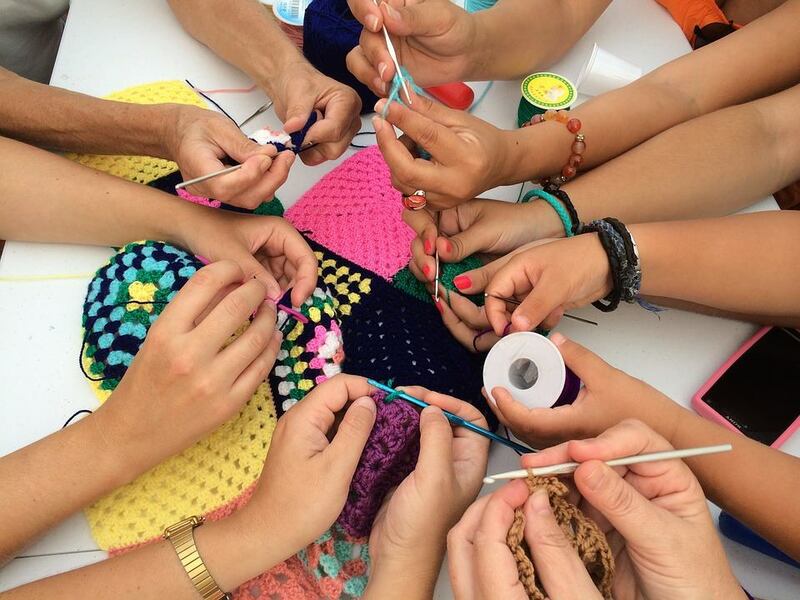 Yarn Love Murfreesboro is a casual group of yarn enthusiasts who love to knit and crochet. All levels of experience are welcome from beginners to experts. Come out and talk shop, bring your current works in progress, stitch a project for charity, or just to learn! We'll be glad to give pointers to anyone who wants to get involved. Just bring your own yarn, hooks, or needles, and we'll get you started. Stuck on a pattern? Maybe we can help you! We also hold yarn swaps from time to time, so feel free to participate and find something new to try. YLM usually meets in Linebaugh Library's upstairs meeting room on the first Tuesday of each month from 6-8 p.m. and on the third Tuesday from 6 - 8 pm in the first floor Club Room, unless otherwise stated. Look us up on Facebook to keep up with current happenings and to share all things yarn.